After a great meal consisting of a 6 hour slow cooked Korean pork shoulder and 2 glasses of Cupcake Pino Grigio wine, my friend Nat urged to me start a food and travel blog. I insisted "the Mo" aka the "hubby", to end his game of C.O.D.- Black Ops so we could come home to start my first blog. Here I am 15 minutes later, typing up my first blog with Desperate Housewives on in the background, our usual Sunday night event. Food is not a new thing to me. I've always had an interest in cooking since my sister and I were in our preteens. The first recipe that I remember making with her was Asian seasoned fries. She handcut the potatoes, deep fried it, and tossed it with the seasoning packet from Asian ramen noodles. I observed and ate. 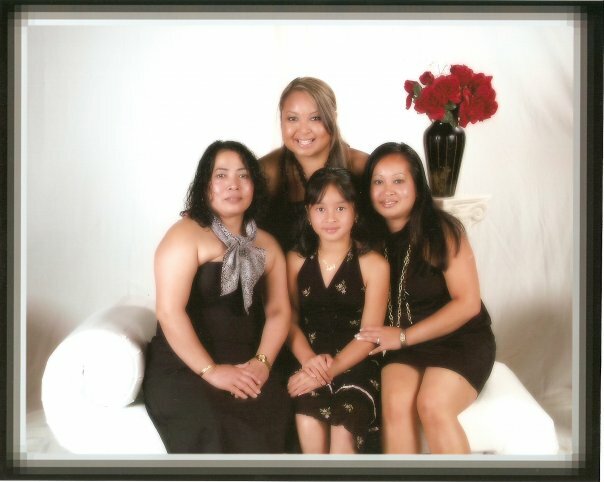 Throughout the years, I observed my mom and sister cook and caught on to their Cambodian recipes. At the age of 19, I got a waitressing job at Southeast Asian Restaurant in Lowell where I learned how to prepare authentic Thai and Laotion dishes. I'm now 26 and constantly cooking for the Mo and I as well as family, friends and events. I never like to go to a party empty handed so I always try to bring a dish. For most events, the dish is usually fried eggrolls, a favorite among my college roomates, coworkers, and "non Asian" friends. Since most Asian people are used to the eggrolls, I try to bring something different or easier to make, it always changes. This is the dish that my Nat friend slow cooked for hours! It was delicious. She got the recipe from a cookbook that she bought called, "Momofuku" by David Chang and Peter Meehan. "Momofuku" means "lucky peach". Momofuku is a successful restaurant group in New York with 5 establishments. Although Nat and her husband has ventured out to NY to try it, the Mo and I have yet to try it.. but I hope we will someday! 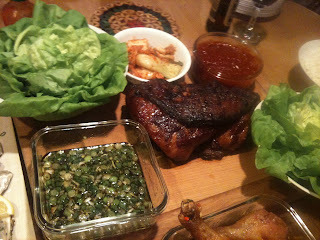 This dish is called bo ssam. It is a common dish in Korea. 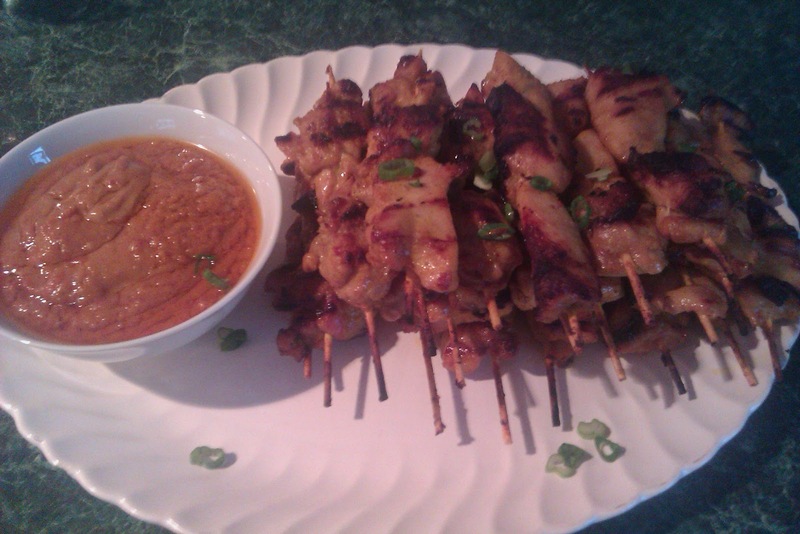 Tonight's dish that I brought over to Nat's house was chicken sate with peanut sauce. I've never made it before but it seemed easy enough. I bought the sate seasoning packet from a local Cambodian store and marinated the chicken thighs per the instructions on the back (Coconut milk instead of water). For the sauce, I used the 2nd packet and added some more coconut milk and kind of changed it up a bit by adding hoisen sauce and chili oil.